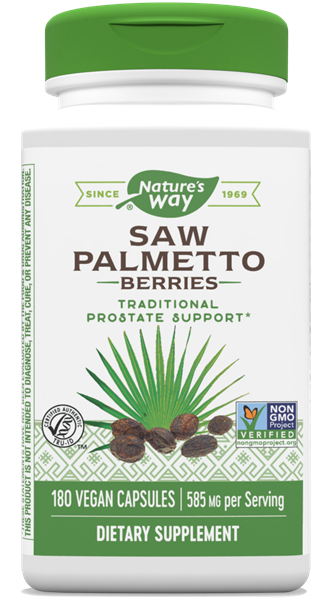 Saw Palmetto Berries / 180 Caps - Nature's Way®. Saw Palmetto berries are beneficial to men (especially over the age of 50) seeking to maintain an active lifestyle. Take 1 capsule three times daily. Best results obtained with continous use. For intensive use take 2 capsules three times daily. Not intended for women and children. If taking any medications, consult a healthcare professional before use.